The following article is excerpted from Time to Stand Up: An Engaged Buddhist Manifesto for our Earth by Thanissara. A silent, non-relational Buddha is a model many meditators have internalized, as if the fruit of the path is to become like an unfeeling, unmoving Buddha statue. If the Buddha was non-relational and non-verbal, we would not have one of the largest bodies of religious texts in the world, which records thousands of conversations between the Buddha and an extremely wide range of people, from kings and queens to lepers, paupers, ministers, courtesans, mothers, children, fathers, generals, artisans, intellectuals, priests, peasants and politicians. That wasn’t a man sitting on his laurels, letting the world sort itself out. We shall explore the Buddha as activist later, but for now what is essential to realize is that like the Buddha, we’re deeply embedded in an interdependent field of relationship. If we’re practicing to try and cut ourselves off from this web, then we’re basically following the path of Siddhartha before his awakening. This is a path he clearly rejected as leading nowhere. Our primary relationship is with our body, our feelings, our thoughts and all the different dimensions of our subjective experience. In meditation we develop the essential skill of relationship through mindfulness; we learn to receive our experience, here and now, into non-judgmental, receptive awareness so we can investigate and contemplate it. As we begin to meditate, however, we very quickly realize that those around us influence our experience. Ajahn Chah spent the early part of his monastic life, more than twenty years, wandering the forests of Thailand, Cambodia, and Laos. 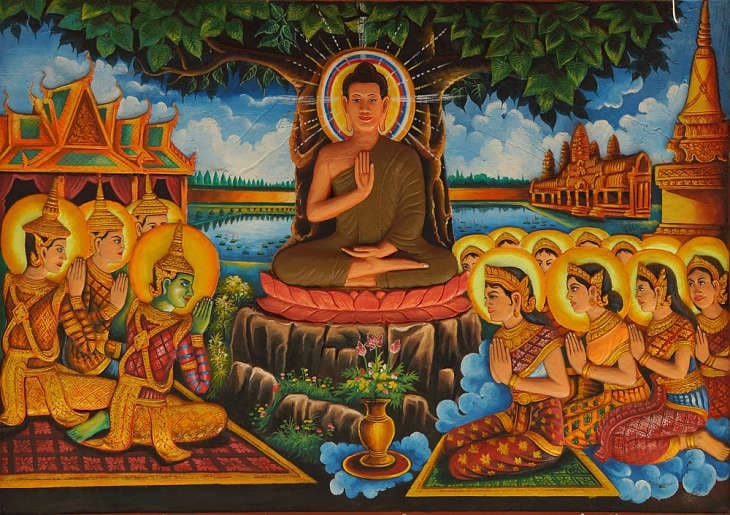 Like Siddhartha during his years of renunciation, Ajahn Chah lived a tough and ascetic lifestyle, where his minimal contact with people was mostly to receive alms food for his daily meal. It was a time of profound learning, during which he was able to develop strength, focus and determination. 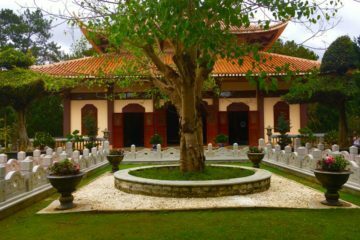 He commented towards the end of his life, however, that it wasn’t until he set up community at his first monastery, and started to live with people, that he truly developed wisdom. Having met him towards the end of his life, I would also say he developed compassion, humour and an incisive perceptivity regarding human nature. One time, Ajahn Chah travelled to England to find out how his disciples were doing. He arrived at a building site in Chithurst Hamlet, West Sussex, which was to become his first monastery in the West, and asked how everyone was getting along. “Oh, very good, we’re getting along very well,” replied the abbot. “Well, there won’t be much wisdom here then,” Ajahn Chah replied. We meet our shadow in relationship, and sometimes through conflict. While this is challenging, it does present us with an opportunity. When we consciously embrace relationship, it matures us because eventually, we will have to learn to be more wise and compassionate. Excerpted from Time to Stand Up: An Engaged Buddhist Manifesto for our Earth by Thanissara © 2015 North Atlantic Books.